﻿ What's hot at Start-up India shelf for food entrepreneurs? What's hot at Start-up India shelf for food entrepreneurs? The Startups will also have to demonstrate requisite capability to execute the project as per the requirements and should have their own manufacturing facility in India. 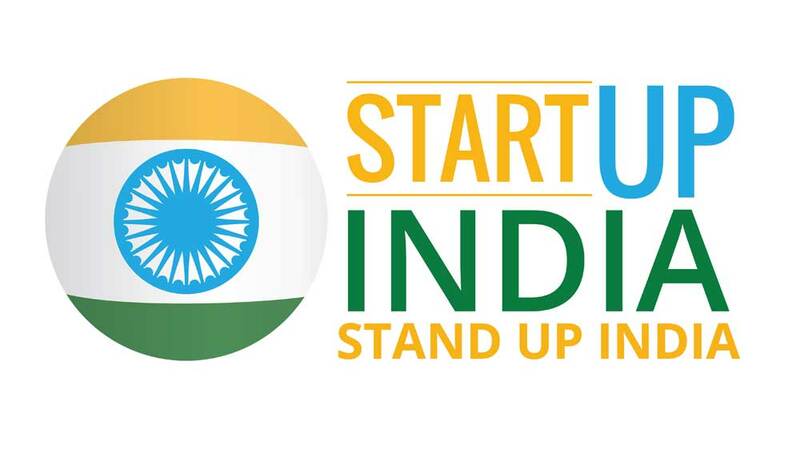 The much anticipated event for Start-Up India policy by Prime Minister Narendra Modi was held in Vigyan Bhawan, New Delhi on January 16, 2016. It brought lots of hope and a sense of competition amongst food entrepreneurs to grow their business. The 19-point Action Plan aims to take forward the start-up culture, making it easier for young, aspiring Indians to build their business ideas. While there is more to go and more to follow, here’s a quick reaction on how food entrepreneurs view Modi’s action plan. Sharing his view, Riyaaz Amlani, Owner, Impresario Hospitality & Entertainment said, “Modi's initiative is a timely recognition of India's growing entrepreneurial spirits, and will provide a huge impetus to the start up ecosystem.”	Though, this action may help the start-up to grow and precede the business, it may open doors for them to grow outside India. Adding to same lines, Zorawar Kalra, Founder & Managing Director, Massive Restaurants Pvt. Ltd, pointed, “When we started out in the food business almost over a decade ago, there was little support we received from various Government & private firms as we were a start up at that stage.. Though there is still a long way to go, we are absolutely thrilled and delighted that the current regime has not just put their faith in Start-ups, but are also going full throttle backing innovation and idea generation, while offering various plans and subsidies, which is extremely encouraging and will help develop the talent pool of the Country and churn out future entrepreneurs. I am truly excited about the Start-Up Mission and look forward to see how this shapes in the future. ,” However, food-tech or the online players are amongst major contributors in changing food business scenario in the country, they too are ready to join this bandwagon with thrill. Reacting on business plans, Vivek Kapoor, Co-Founder, Dineout shared, "Start-up action plan is great step in the right direction for the Indian Start-up ecosystem, as it not only supports entrepreneurs and stakeholders, but also investors. It is very exciting times for Indian start-up ecosystem and all these new measures, if implemented in a timely manner should, help the country and its industry growHopefully, all the new measures should see a massive growth in start-ups over the next few years. " Typically, whenever a tender is floated by a Government entity or by a PSU, very often eligibility condition specifies either “prior experience” or “prior turnover”. Such a stipulation prohibits/ impedes Startups from participating in such tenders. At present, effective April 1, 2015 Central Government, State Government and PSUs have to	mandatorily procure at least 20% from the Micro Small and Medium Enterprise (MSME). In order to promote Startups, Government shall exempt Startups (in the manufacturing sector) from the criteria of “prior experience/ turnover” without any relaxation in quality standards or technical parameters. The Startups will also have to demonstrate requisite capability to execute the project as per the requirements and should have their own manufacturing facility in India. "Generally most start-ups do not earn Profits in first 3 years as cost of setting up a business, plant, machinery etc is high. So Tax rebate on profits is not a game changer. But I appreciate Mr. Modi to putting a leash on the Inspector Raj and letting start-ups work without living in constant fear of inspectors. Wish the campaign had focussed more on getting investments for startups or opened the Exchange for Startup that Mr. Modi had mentioned earlier,” expressed Amit Dube, CEO and Founder, FoodAbhi.com. According to entrepreneurs, exemption from income tax and self regulation are great things as it will help entrepreneurs focus on the execution towards building a great company and scaling it up to the next level. Also, tax exemption from capital gains tax will benefit start-ups as it will allow them to invest more in their business. The addition of a 10,000 crore fund should also help the industry in encouraging more people to start their own business. And as, Mr. Modi is on a mission to galvanize start-up ecosystem, I believe this could help and provide national and international visibility to start-ups in India. About Us: Started in 2013, with a dream to convert concrete..
About Us: Looking for your own lucrative business in ever growing..
IndiaFIRST® ROBOTICS - a name known for India’s First ever Modular robots..
About Zomato : Founded by Deepinder Goyal in 2008, Zomato is.. The Growing Wave Of Online Therapy.. Capable of Enhancing Natural Beauty..
Will the Union Budget 2019 be in favor of Educatio..
Dishing Up Indian Curries At Its Best..
Can Fast Food Get Healthy..
Franchisee-Franchisor Relationship is the key..
Modi Naturals to Foray Into Healthy Popcorn Segmen..
Indian foodie prefers hot, spicy food: Survey.. Elements Of A Car Wash Franchise Biz..
Sports Education Opportunities in Chandigarh..
IFC is Fighting the Fertility Battle in India..
How Business Relationships are Made..
How Can Education and the Economy Work Together?.. Don't Miss Out on these Healthcare Businesses..
“Audits Help Restaurants to Gain Foot Fall”..
How to Start a Chocolate Retail Store.. When Food biz becomes Retail First..
“We Blend Traditionalism to Modernity”..